Punctuation marks are essential when you are writing. They show the reader where sentences start and finish and in they are used properly so they make you understand. The proces of glazing in tradition covers total objects and therefore covers up the start and end of glaze, where porcelain starts and glaze punctures the surface. 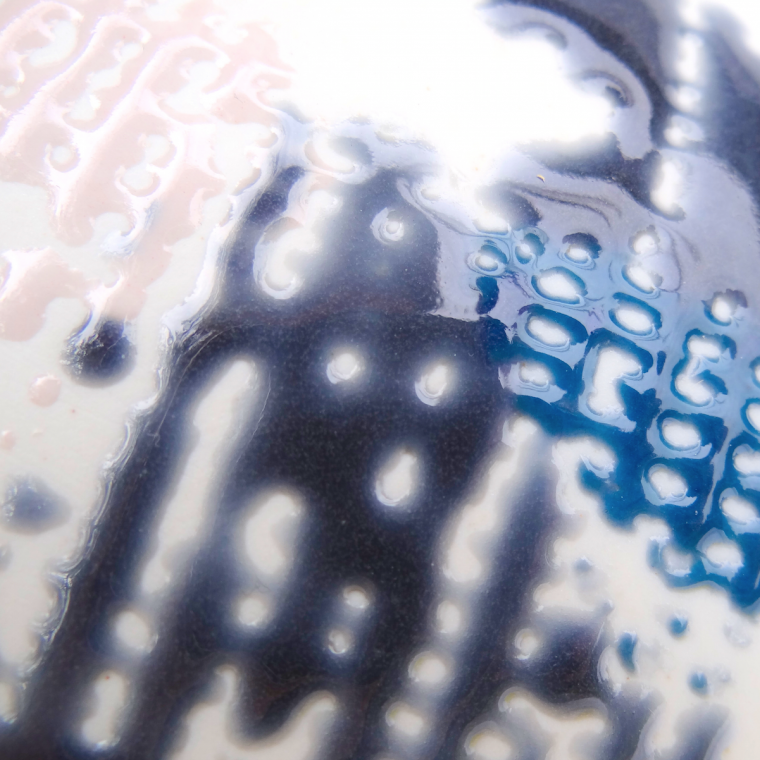 Punctuation in glaze reveals through with colours, vitrification, glazes and burns a tactile pattern on the vase. A series of glaze; 1. to mark in order to make the meaning clear. 2. to interrupt 3. to give emphasis or force through material exploration. Punctuation, a series commissioned vases and gallery exhibition in 2012 at Zelhem gallery. Until 12 january you can visit the exhibition Fair Trade Design with work of a variety of designers and artists who all work abroad and try to activate with their work a different mindset through making and stimulating local economics. The works are around the exchange of thoughts and creative procession to stimulate a new mindset around the definition of Fair Trade. Our porcelain collection Punctuation, what is all about Glaze Waste, is on show here together with works from Carola Zee, Arnout Visser, DeMakersVan, Janske Megens, Piet Hein Eek and many others. The exhibition is organised by stichting Galerie bibliotheek Zelhem and is running from 17 november to 12 januari. Visiting at Burg. Rijpstraat 4, 7021 CR Zelhem.